"We seek to inspire, inform, enlighten, and uplift your spirits"
The Society for Enlightenment and Transformation (SEAT) is part of the United Nations Staff Recreational Council (UNSRC). 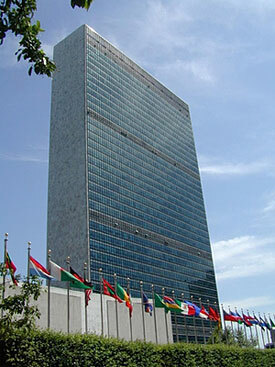 This is a group of clubs that is sanctioned by the UN for members, guests, employees and delegates of the United Nations. 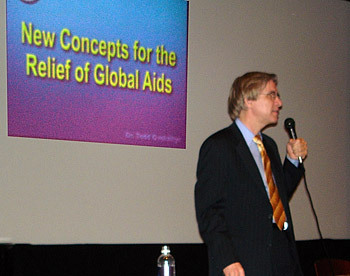 On March 31, 2006 Lee Carroll was again invited to bring Kryon's message to this group. 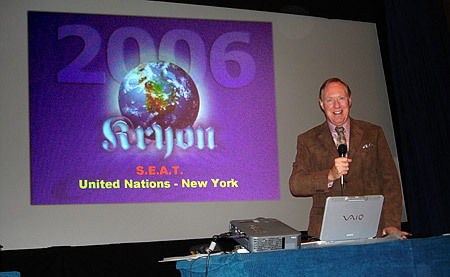 Having been there before in 1995, 96, and 98, and 2005, this 11-year anniversary of Kryon's first visit was presented in the Dag Hammarskjold Library Auditorium in the UN building in Manhattan. Again Dr. Todd Ovokaitys was Lee's guest speaker. 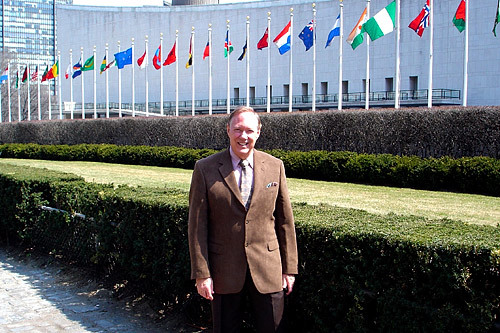 (right) Lee Carroll and Dr. Todd Ovokaitys arrive at the United Nations building the morning of March 31... great weather! 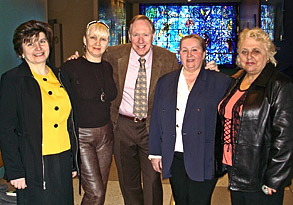 (left) Lee Carroll greets some of the Russian guests. 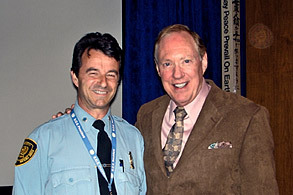 (right) UN Guard "Fernando." He has been our "UN Angel" for 11 years! 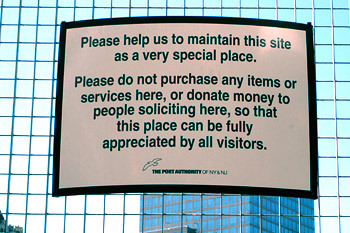 (below) The very famous Ellis Island. Between 1892 and 1954, approximately 12 million steerage and third class steamship passengers, who entered the United States through the port of New York, were legally and medically inspected at Ellis Island. 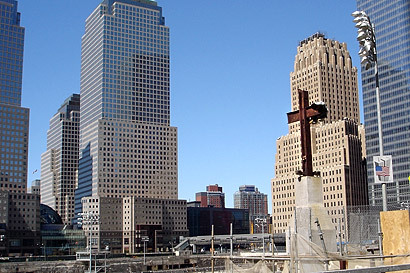 (above) Downtown lower Manhattan skyline as seen from the Statue of Liberty Park. 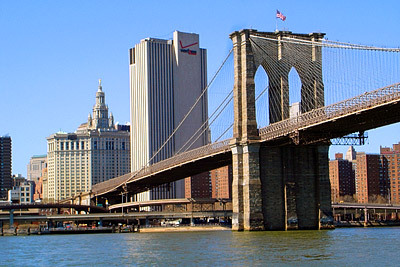 (far left) The famous Brooklyn Bridge... the first bridge to span the East river and connect Brooklyn to New York City, completed in 1883. 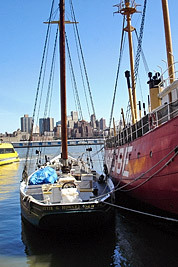 (near left) Some boats that are part of a museum on the popular Chelsea Pier. 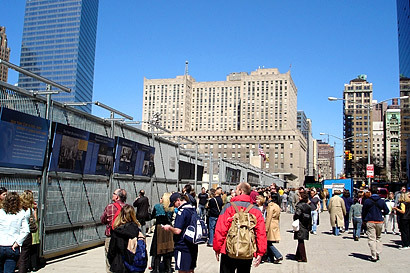 At best, this memorial is make-shift and temporary until the folks of NYC can decide on a permanent structure that honors those who died that day. There is actually nothing to see here but a hole in the ground where excavation continues to this day to shore up and repair the scars of the event. The ground where this happened is a land fill, and a great deal of engineering holds back the water from the ocean for everything that is below ground level. 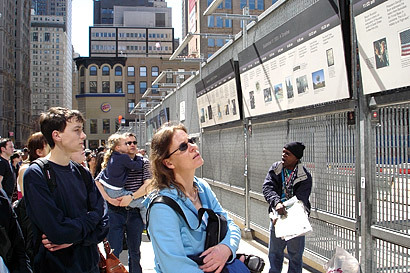 The above 2 photos show people from many states and countries looking at the photos and statements that the city has posted here until something more permanent is built. 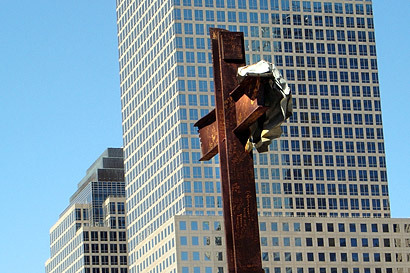 The 2 photos below show a structure that seems to be a cross, but it's not. It's original, just like the building left it on that day in 2001... untouched from the way the buildings collapsed around it. The white material on it seemed to be fabric, but instead it's metal which has been melted and shaped around this skeletal framework. Many workers have signed it, scratching their names into the rusted metal. They decided to keep it for now. 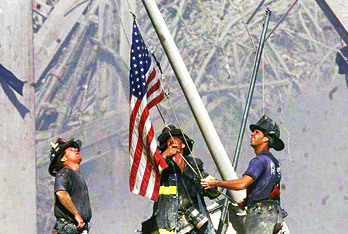 (bottom right) A photo we have all come to recognize. 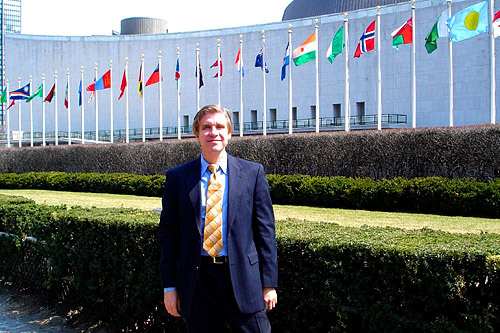 (left) November of 1996 found me invited to the United Nations for the 2nd time. 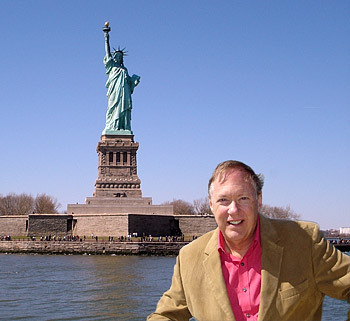 In the Kryon group that day was friend Steve Rother, who took this great photo from a boat which was to the side of the statue, with the Manhattan skyline in the background. Steve was returning from a day at the Statue of Liberty, much like I did above. 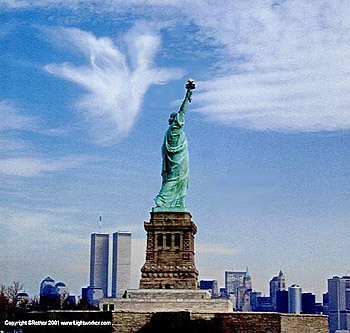 Steve tells us that he didn't see the angel cloud formation at the time. Who would have guessed that all these years later it would be so significant?